Walking up and down the seashore is a stroll in paradise for those of us who collect shells. There are some beaches that are better than others, but one can always finds shells of some kind. It indeed becomes a treasure hunt of sorts. When my husband and children would see them, we would pick them up and examine them. If that shell was whole, we would place it in our collector bag. If the shell was broken, we discarded it, finding no worth in keeping it. One year I started picking up the broken ones…and keeping them. The kids were not quite sure why I would do that until I shared some ideas with them…glue them on mirrors, frames, etc. I am so glad that the Father did not discard me when He found me broken. I can see my Abba walking down the shore, picking up every shell and piece of shell. It doesn’t matter the shape, size or color. Each one is precious to Him. None are discarded. He gently picks them up and places them in his pocket to examine in greater detail later. Each one is special, each one will have a place. So next time you are walking along that beach…pick up the shells and don’t forget the pieces. 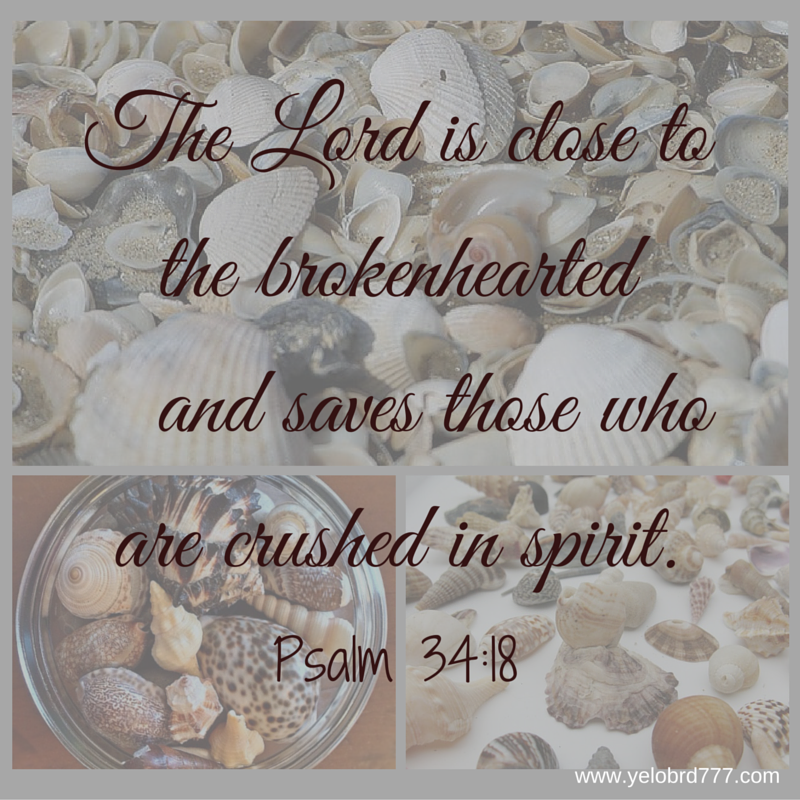 Categories: Spiritual Encouragement | Tags: Abba Father, broken, broken shells, Christian encouragement, encouragement, Father, seashell crafts, seashells, Unconditional love, you are loved | Permalink. Amen-Amein!! GOD Bless All my Sisters and Brothers in Christ-Messiah Jesus-Yeshua and Your Families and Friends!! Thanks Miss Ellie! I would love to live near the coast, but at this point our parents need us here with them. God’s creation always speaks to my heart…even the nasty bee that got me yesterday! Have a great week! Thank you so much! It sounds like we might have similar hearts…thank you for visiting, I am on my way to yours shortly!